First, it is important to distinguish between messenger signaling cells and embryonic stem cells. Messenger signaling cell are developed, unlike embryonic stem cells. Messenger signaling cells are what is being used in regenerative medicine and what we use at American Pain Institute. Can Messenger Signaling Cells Directly Regenerate Tissue? When people think of regeneration, they have images of lizards regrowing their tails, or superheroes regrowing their limbs. Attributing such hyperbolic attributes to messenger signaling cells is wrong. How Do Messenger Signaling Cells Repair Damaged Tissue? The answer is that messenger signaling cells secrete chemicals which are attracted to areas of damaged tissue due to chemical signals released by the damaged tissue. Through a process called chemotaxis, both the messenger signaling cells as well as the chemicals they secrete (exosomes) travel through the bloodstream and home in on damaged tissue. Once the messenger signaling cells and their secreted chemicals arrive at the damaged tissue, the messenger signaling cells will take up residence and continue to secrete the repairing chemicals over several weeks. The messenger signaling cells continue to multiply over several weeks to a month. Every time they multiply, the population doubles. Eventually, however, the messenger signaling cells will be cleared from the body by either dying off (apoptosis) or being cleared by the immune system. There are over 260 chemicals secreted by the messenger signaling cells. The key properties of these chemicals are reduced inflammation, improved blood supply to the damaged area, and the recruitment and augmentation of the body’s own ability to heal the damage. When messenger signaling cells are injected into the bloodstream, almost 96% of them are trapped in the lungs and then over 48 to 72 hours start leaving the lungs to other parts of the body such as the liver and spleen. Therefore if you want to repair a specific part of the body such as a knee joint, it is considered best to inject the messenger signaling cells directly into that area such as the knee joint. The medical literature of messenger signaling cells shows that it is safe to inject them anywhere in the human body: the brain, heart, spinal fluid, discs, joints, bones, etc. Where are Messenger Signaling Cells Found? In adults, large deposits of messenger signaling cells are found in bone marrow, dental pulp, and in adipose tissue. The messenger signaling cells used at American Pain Institute come from healthy pregnant mothers who donate their umbilical cord blood. The mothers are not paid for this donation. There is a growing number of companies which take the umbilical cord blood and extract the messenger signaling cells. Then through a process of sterilization and preparation, the messenger signaling cells are made available for injection. The injection of messenger signaling cells into people is legally treated like a blood transfusion or organ transplant. All blood transfusions and tissue transplants in the United States fall under the auspices of the American Association of Tissue Banks. 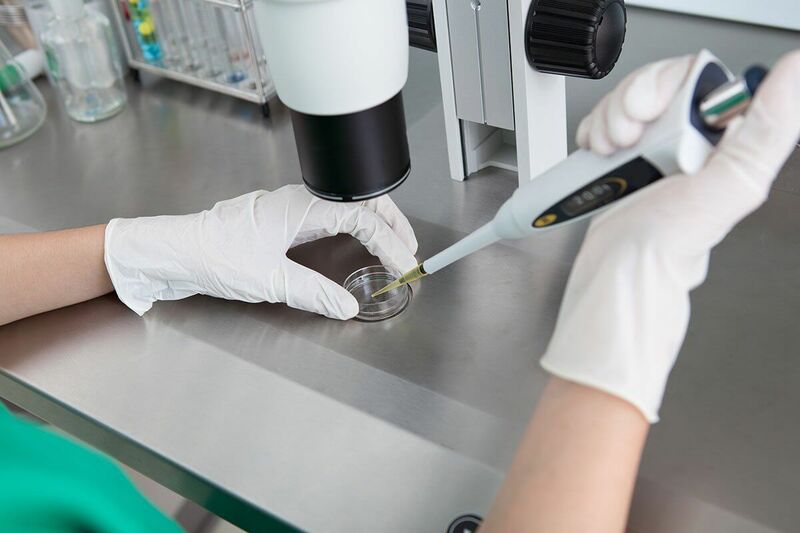 The purpose of the American Association of Tissue Banks is to ensure that all transplanted tissues are safe and free of infectious diseases, are of uniformly high quality, and the safest products possible. The pregnant women who donate their umbilical cord blood are carefully screened by history and bloodwork multiple times during their pregnancy to ensure they do not bear any communicable diseases such as hepatitis or HIV. The messenger signaling cells pass through a sterilization process as well. The standards of the American Association of Tissue Banks are strictly followed. What Are The Risks of Adverse Reactions? Some people are concerned with the risk of tissue rejection or an allergic reaction to the injected messenger signaling cells. An interesting property of messenger signaling cells is that they are immunologically privileged, they do not evoke immune responses when injected into other people. The chemicals they secrete form a curtain, shielding them from evoking an immune response. Over time, this curtain fades and the body’s immune system will destroy them and clear them from the body. Consider this: every baby’s DNA is 50% from the mother and 50% from the father. During pregnancy and for at least 30 years after delivery, every mother has her baby’s messenger signaling cells due to sharing the circulation with her baby, yet there is never a rejection despite the baby’s cells being genetically different. There is also the example of surrogate mothers who carry babies whose genetic material is from a different man and woman yet do not reject the baby. Our review of the medical literature shows no examples of rejection of messenger signaling cells. Just to be clear and transparent, the Messenger signaling cells we use at American Pain Institute are not FDA (Food and Drug Administration) approved at this time for these purposes. They have been used worldwide for years and according to the medical literature, there have been no serious adverse reactions to their use. At American Pain Institute, we are excited to offer this newest chapter in medicine to our patients suffering from chronic pain. As physicians, we have a duty to our patients to provide safe and effective treatment. This is why we have spent months in reviewing the medical literature about messenger signaling cell injections, read multiple textbooks, consulted with other physicians, and attended a CME accredited seminar in messenger signaling cell injections prior to making this offer. As you can see from the above and the following citations, much thought and reflection has been spent on this endeavor. As our experience with messenger signaling cell injections accumulates, we will continue to evolve our treatment protocols in order to maintain our status at the leading edge of messenger signaling cell technology and its applications. We invite you to contact us for more information about messenger signaling cells and related treatments. For further reading, we recommend the book “Stem Cell Therapy, A Rising Tide” by Dr. Neil Riordan which is available electronically for about ten dollars and published in 2017.